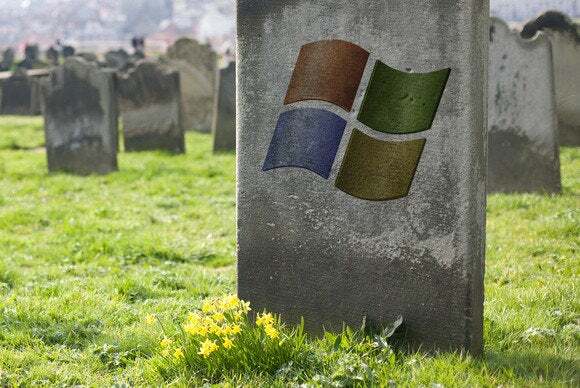 Microsoft stopped supporting Windows XP in April, but a simple registry hack lets users continue to get security updates. The hack, as reported by ZDNet, fools Microsoft into thinking the system is running Windows Embedded POSReady 2009, a variant of XP that's used by ATMs and cash registers. Those systems will keep getting security updates until 2019. Then, change the file extension from “.txt” to “.reg,” and run the file in Windows Explorer. Opening Windows Update at this point should reveal several new security updates. There are, of course, other caveats: While the registry hack doesn't seem to cause any issues, it may not provide the same level of protection as a newer operating system with proper security updates. And unsurprisingly, Microsoft is not amused. Microsoft would prefer that users upgrade to Windows 7 or Windows 8.1 instead, of course, though various Linux operating system variants are viable options as well. Even if you enable this registry hack, you'll still want to take steps to keep your Windows XP PC as safe as possible and upgrade to a more modern—and officially supported—operating system as soon as possible.